Set a 3-minute drive from Lagos' old town, Casas Novas Guesthouse features self-catering studios and rooms, all with free WiFi. The outdoor pool has a sun terrace with loungers. Offering a garden and outdoor pool, Porto Dona Maria is situated in Montinhos da Luz. Albufeira is 44 km away. Free private parking is available on site. 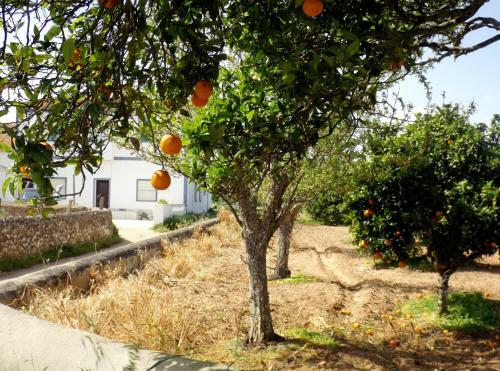 Casas do Pomar is located in Lagos, 7 km from the centre. This rustic holiday home has green surroundings, including some fruit trees. The unit comes with an equipped kitchen, private bathroom and a dining area. Located 3.5 km from Meia Praia Beach Lagos in Lagos, this apartment features a terrace and a garden. Guests benefit from balcony. Free WiFi is available throughout the property.